FREE THOUGHT FM, the exhibition where you become the artwork, opens in the Douglas Hyde Gallery. 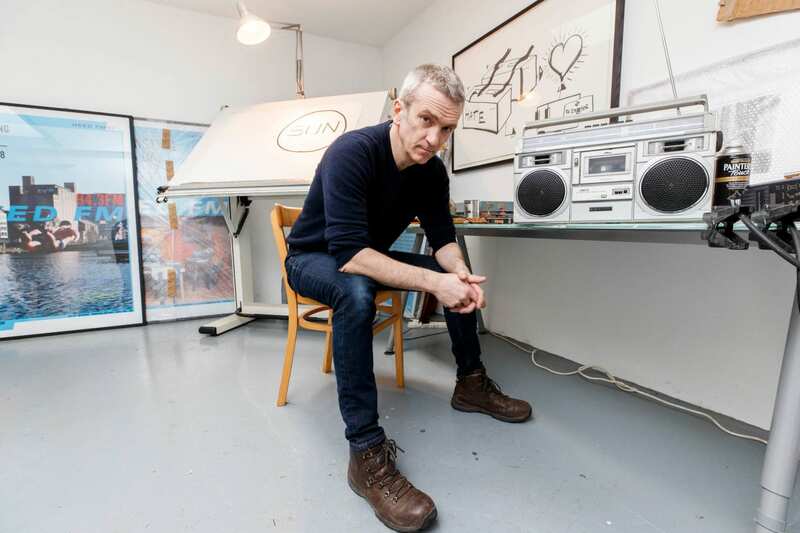 One of Ireland’s leading conceptual artists, Garrett Phelan's new exhibition FREE THOUGHT FM opened at The Douglas Hyde Gallery, Trinity College Dublin. In a time when free expression in the public sphere is limited by self-censorship and digital observation, a new radio station offering an open platform where all voices will be heard. 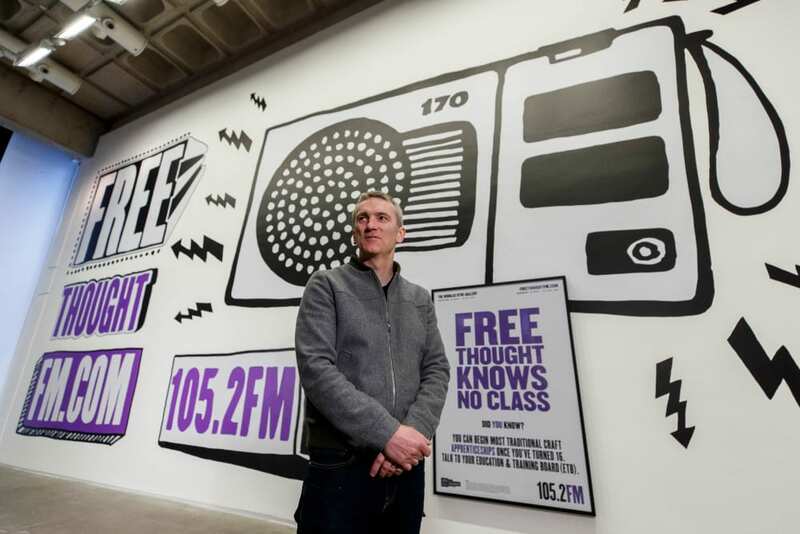 FREE THOUGHT FM is a ten-week art project, at the core of which will be a 30-day licensed FM radio station (FM 105.2), operating live from within The Douglas Hyde Gallery. During the live broadcast, Phelan will converse and interact with invited guests and members of the public in the gallery. A unique art exhibition, Paul Galvin, Emmet Kirwan, Maser, Brian Pennie, Spekulative Fiktion, Mathman and Andrea Horan join in as some of Ireland’s ‘Free Thinkers’ participating in FREE THOUGHT FM. A key aspect of the project is an exploration of the inequality surrounding access to education. 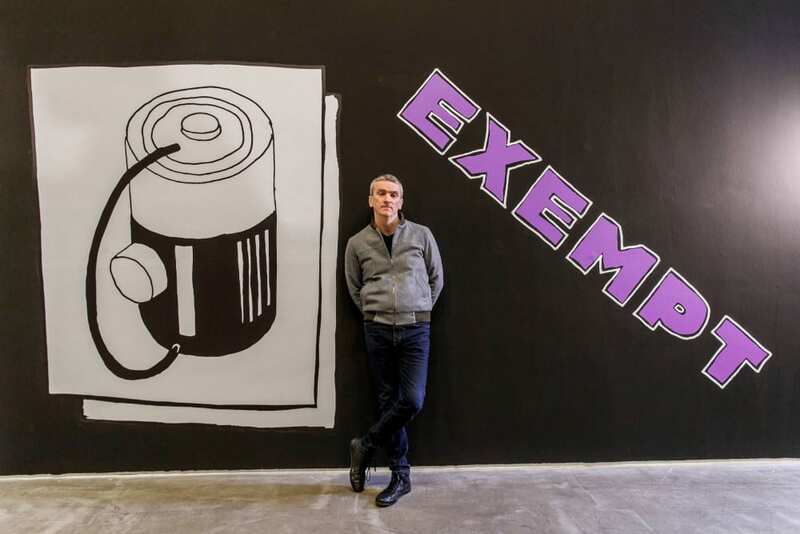 The exhibition invites ‘Free Thinkers’ from across Ireland to come to The Douglas Hyde Gallery and share their thoughts on free speech, social inequality, access to third level education and related issues. The exhibition opened with a large-scale installation Phelan has created specifically for the gallery will be on display. 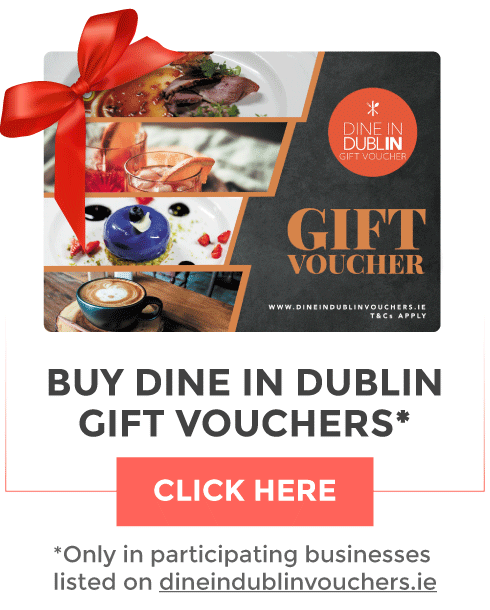 The artwork is unique, collaborative and constantly evolving, as members of the public are free to participate and contribute to the exhibition by entering The Douglas Hyde Gallery and engaging with the artist, live on the radio. The project is the brainchild of Phelan, who continues to break barriers of form and engagement. Over the past twenty five years, Phelan has realised incredibly ambitious and deeply engaging projects in diverse contexts, ranging from a sprawling installation in a deserted council flat in the north inner city (NOW:HERE, 2003) to his most recent work THE HIDE PROJECT, a permanent functional monument dedicated to the people of Fingal, commissioned by Fingal County Council. FREE THOUGHT FM exhibition runs from March 15th until May 25th. The radio broadcast will run from March 25th until April 23rd.